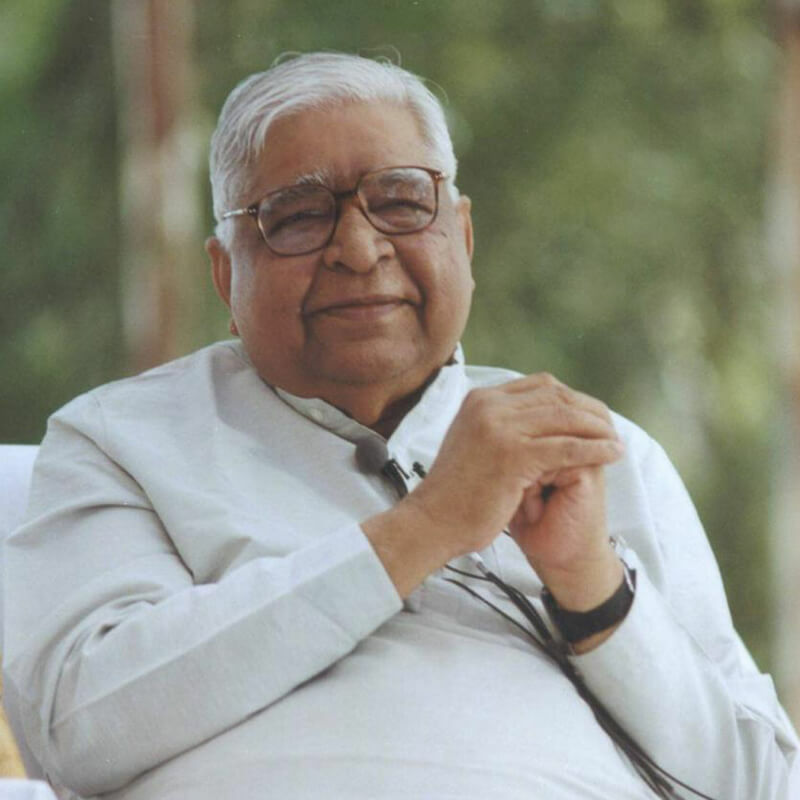 When one comes to a Vipassana centre to learn to purify the mind with the technique of Vipassana, one has to stay at the centre for ten days, follow all the rules and regulations, and observe the five precepts scrupulously. The work starts by focussing one's attention on one's own respiration and developing awareness of the truth manifesting within oneself. It is a technique of self-observation, observation of the truth. This entire body-aggregate-is it 'I'? Is it 'mine'? Is it 'my soul'? One must understand this at the experiential level. Since childhood, one has been hearing that this body is mortal, impermanent, transitory. How can it be 'I'? How can it be 'mine'? How can it be 'my soul'? One accepts it because there are layers of conditioning of this belief on the intellect. One has been hearing and accepting since childhood that the body is different, the soul is different. But is this the truth? We have to understand the truth at the level of direct experience. Similarly one calls the mind-aggregate 'I' and 'mine'. Is it really 'I'? Is it really 'mine'? Is it really 'my soul'? On the basis of whatever we have heard since childhood we say, "This mind is impermanent, it is ephemeral, it is transient. How can this be 'I'? How can this be 'mine'? How can this be 'my soul'?" This is a belief; it is not knowledge based on actual experience. One has to gain full understanding of the body, the mind and mental states at the level of direct experience. Initially, one experiences gross truths. One starts with the experience of gross truths. As one develops in the field of direct experience, one gains knowledge of progressively subtler and subtler truths. If one keeps observing objectively, without reacting, layers of negativities are removed from the mind. The eradication of these layers of negativities results in the experiencing of subtler truths. As more and more layers are removed, more and more subtle truths are experienced. Thus one progresses from observation of the grossest truths of the body to the stage where one experiences the subtlest truths of the body; one experiences the subtlest truths of this material world. Similarly, one starts by observing the gross states of the mind. As one continues to observe subtler and subtler truths, the negativities of the mind are gradually removed. Thus, one observes the entire field of body and mind at the experiential level and finds that it is impermanent, ephemeral, changing every moment. This is not a mere belief; one understands this truth of impermanence at the level of direct experience, until one reaches a stage beyond mind and matter, which is the ultimate truth. One starts on this path with the base of truth, the truth that one experiences oneself. If one just imagines something that one has heard or read somewhere, or accepts something based on devotion or intellectualisation, one will not progress. One must examine the truth about oneself at the level of experience. One sits erect in a comfortable posture with eyes and mouth closed and starts the work of investigation of the truth of oneself. What truth is being revealed about this body and mind? The first truth that is revealed is the incoming and outgoing breath. One is not imagining it; one is actually experiencing it. The breath is coming in; the breath is going out. One remains aware of natural, normal respiration. It is difficult to concentrate the mind using the object of natural respiration, but it is important in order to progress on this path. I know from my own experience and from the experience of many others that if one adds any word to the incoming and outgoing breath and recites it repeatedly, the mind will quickly become concentrated. One may add the name of a saint or a god or goddess or a brahma in whom one has devotion. One is observing respiration and also mentally reciting the name. Or one may add any shape or form: the image of a saint or a god or goddess or a brahma in whom one has devotion. If one visualises that image with closed eyes and observes respiration at the same time, the mind gets concentrated very easily. There will be very little difficulty in concentrating the mind. But if one wants to progress on the path of Vipassana, no name or image or form should be added to the breath. Otherwise one will not be able to reach the goal of full liberation. If the ultimate goal is merely to concentrate the mind on some object, one should certainly add a word or shape or image. One can attain this goal easily and quickly. 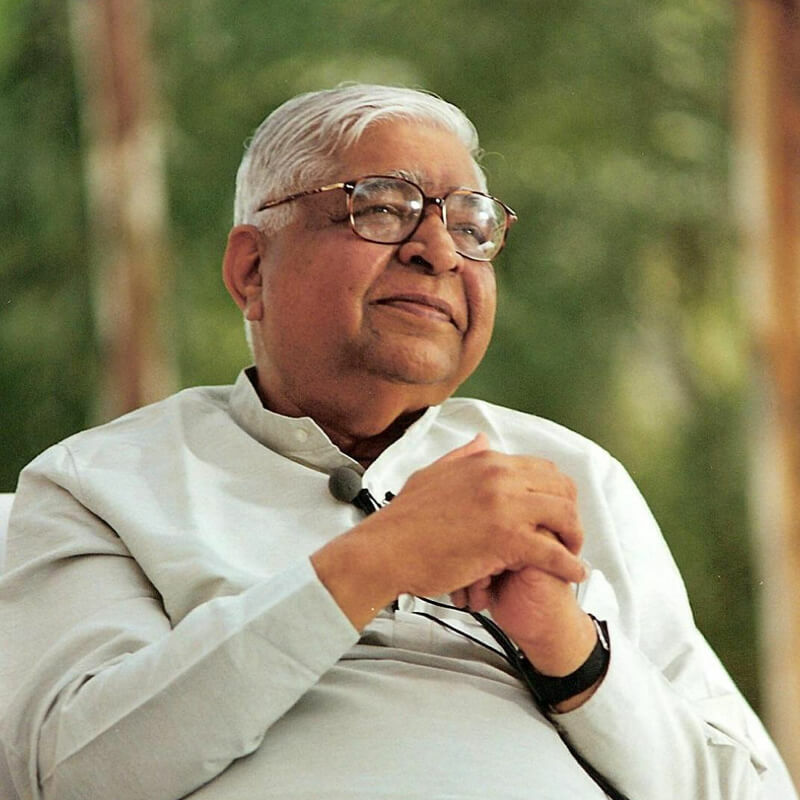 But concentration of the mind is not the ultimate goal of Vipassana meditation; it is to free the mind from all negativities. If the mind becomes concentrated without eradication of its negativities, it is not of much benefit. To eradicate negativities, one must go to the depth of the mind where they originate and multiply and overpower the mind. When the mind is overpowered by negativities one performs unwholesome actions. By developing and sharpening awareness at the depth of the mind, one can stop their generation and multiplication and uproot the stock of old accumulated negativities. Concentration of the mind is helpful in this work. But it is the means, not the end. Let us not get diverted from the goal of meditation, which is to know the truth about oneself. When one adds any word to the breath, one finds that gradually the breath is forgotten and the word becomes predominant. By repeating that word again and again the mind becomes totally concentrated, totally immersed in it. Or the mind may become concentrated by visualising an image and becoming immersed in it. One attains samādhi (concentration of the mind) but the work of observing the body and mind has stopped, the work of uprooting negativities has stopped. "Thāpiā na jāi, kītā na hoi, āpe āpi niranjanu soi." "Thāpiā na jāi, kītā na hoi. "-do not impose any belief, word, or shape. Whatever is happening, just observe it. Do not add any self-created artificial truth, any imposed truth of your own. "Āpe āpi"-Whatever truth is revealed by itself, accept only that as the truth. "Anjana mānhi niranjana dekho" - One has to experience the niranjana (purity) within the physical body, which is without shape or form. One should not impose anything. When the breath is coming in, one just realises that it is coming in. When the breath is going out, one just realises that it is going out. Whether the breath is passing through the left nostril or the right nostril or both nostrils, whether it is shallow or deep, just observe it objectively. Yathābhūta-as it is, not as you would like it to be. Just observe the natural breath, as it is. The only object of meditation is the breath. One should not add any other object, word, shape or form. The mind will wander. It will wander again and again and one has to bring it back to respiration again and again. This is difficult but it is highly beneficial to pass through this difficulty. Another reason why no name or form or shape should be added is because the entire path is universal, non-sectarian. If a name is added, whose will it be? It will be that of a Supreme Being or a god or goddess or Allah or a brahma or a saint, or a guru, in whom one has devotion. Every society, every religion, every community has devotion in some ideal person-a god or goddess or a brahma or a saint-that is limited to that particular community. If a name from a particular religion is recited, the followers of other religions will refuse to use it. Therefore, it will not be universal. Similarly any shape or form that is added will be from a particular religion or community and will not be universal. Therefore, if one wants to keep this technique universal one should not add any word or shape. But observation of respiration is universal. Everyone can observe breath. Whether a person is Hindu or Buddhist or Jain or Muslim or Sikh or Parsi or Jewish, he can easily observe breath without any hesitation. The entire path of Dhamma is universal; it is not the path of any particular organised religion. Sometimes, a student who comes for meditation says, "I will not add any word or the shape of any god or goddess or saint or anyone related to any religion. When the breath comes, I will only say 'coming' and when the breath goes out, I will only say 'going'. There is no religion involved in this. If I add any word, my work becomes easier. What is wrong with this?" 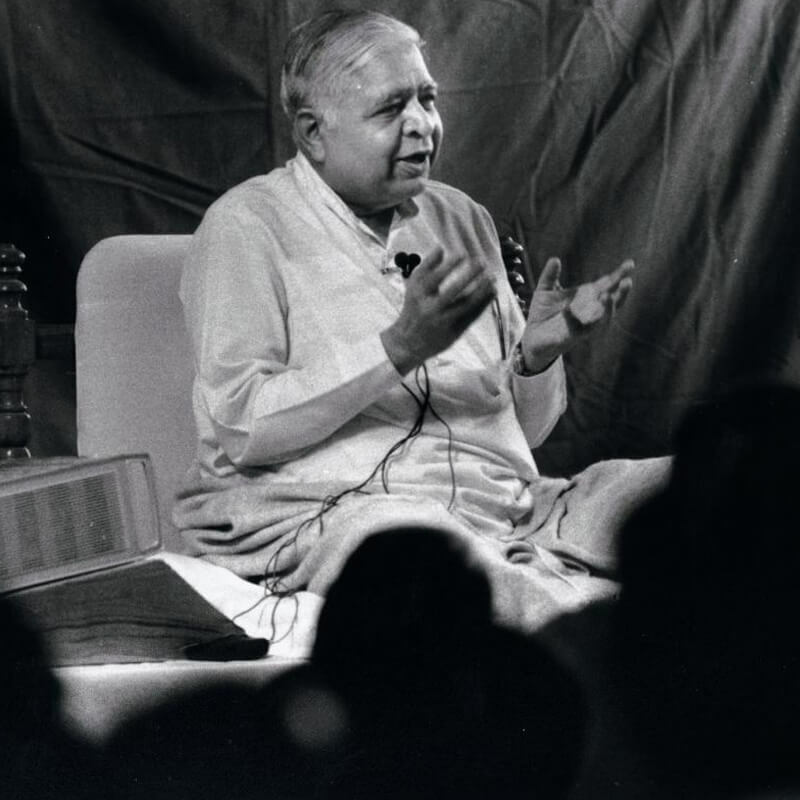 I explain that gradually this 'coming, going' will become a mantra and the mind will become immersed in it and will lose awareness of the breath. By the practice of observation of respiration, one gains much knowledge about the body and the mind. Therefore it is absolutely essential to maintain awareness of pure breath without adding anything to it. If it is coming in, one understands it is coming in; if it is going out, one understands it is going out. If the mind wanders, as soon as you become aware, "Oh, my mind has wandered", start again. Our work is to bring the mind back to the breath. The mind will wander repeatedly, it has to be brought back again and again. One will have to exert a lot of effort. But many truths pertaining to the self will be revealed automatically as one keeps observing the bare breath. If one concentrates the mind with the help of any other object it will get concentrated easily, but progress on the path will stop. One will neither be able to know the truth about oneself nor be able to investigate the entire body and mind. At first, it will seem that respiration is merely a physical mechanical process. The breath comes in and goes out because of the working of the lungs. Respiration is related to the body, but what relationship does it have with the mind? We want to understand not only the body but also the mind and the negativities that arise in the mind. As one continues to observe respiration, one begins to understand that it is related not only to the body, but also to the mind and the mental negativities. While observing the breath, a thought will arise, and related to it, a negativity will arise. One may recall some past incident, "He said this, he did this" and anger may arise, or other negativities like lust or fear may arise. If one observes carefully one finds that the breath loses its natural rhythm, it becomes slightly fast, slightly heavy. As soon as the negativity passes away, the breath again becomes natural. One has to understand these truths about the mental negativities so that one can eradicate them at the root. If one forgets the breath and the mind becomes immersed in some word, how can one know the truth about the body and the mind? Therefore, one should not add any word or shape or form. One observes only the breath, as it comes in, as it goes out, observing it objectively. One finds that the mind is becoming concentrated, though with some difficulty. In addition, the mind is also getting purified and getting liberated from negativities, to some extent. But if the work of purification of the mind is stopped, if the mind is not getting liberated from negativities, how can one reach the goal of full liberation from all negativities? So along with concentration of mind, one should purify the mind. If the mind is becoming free from negativities, it will bring happiness, it will bring peace, it will bring liberation. One has to make the mind free not only from thoughts, but also from negativities. This will lead to real happiness, real peace, real liberation.